Electric vehicles are not only be filled up at public charging stations but at private outlets as well. 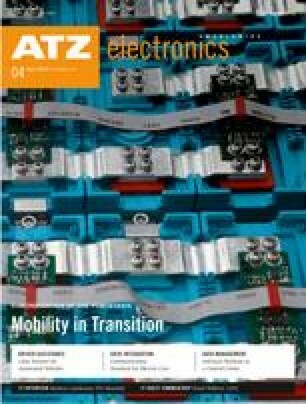 A common communication standard for Europe is needed to intelligently connect vehicles and other bulk consumers. The Eebus Initiative and its members are pushing forward cross-sectoral solutions. Electric mobility is an important building block in the energy transition (the German "Energiewende"); regenerative electricity generation from solar and wind energy is another. At the same time, another shift is taking place in the house building industry. In the heating sector, gas boiler heating systems had until recently been viewed as the future, yet electric heat pumps have more prospects at least when it comes to new constructions. 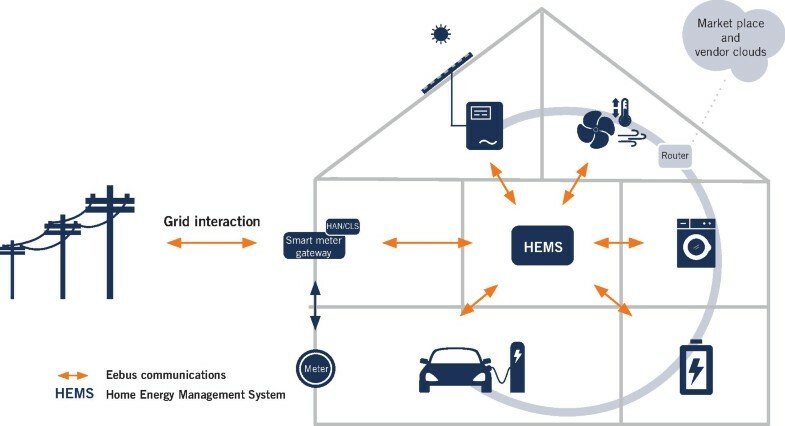 Combined with photovoltaic panels, a house battery and a Home Energy Management System (HEMS), the house can almost entirely supply itself, Figure 1.